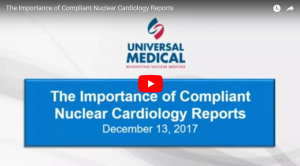 This 60-minute presentation will feature James McGee, founder of NuclearCardiologyReports.com and Nik Iwaniw, VP, Corporate Quality & Customer Support Services/Clinical Support Specialist for Universal Medical Resources, who will discuss and provide useful information for those conducting nuclear cardiology perfusion examinations and requiring IAC (formerly ICANL) certification. The new IAC standard for production of reports. The IAC certification process and how poorly implemented reporting can scuttle attempts to achieve certification. The impact on clinical operations and revenue generation during lapses in IAC certification. How an automated preformatted report program can and should be added to your daily reporting of patient test results. 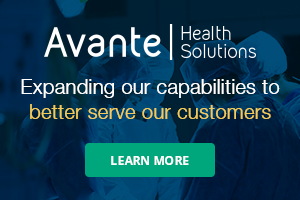 The cost of standardizing your patient reporting system. Webinar Wednesday would like to thank our sponsor, Universal Medical! Universal Medical has nurtured a business philosophy founded on offering comprehensive nuclear medicine equipment services at a reduced price. Universal Medical’s products and services include, new and reconditioned nuclear imaging systems, quality parts, excellent equipment service, training courses for health care technology managers, camera system moves, technical and clinical support, flexible financing options, and more. Visit www.uni-med.com for more information.